A few years ago, when I first started homeschooling, I came across a book that changed our family's night time routine. 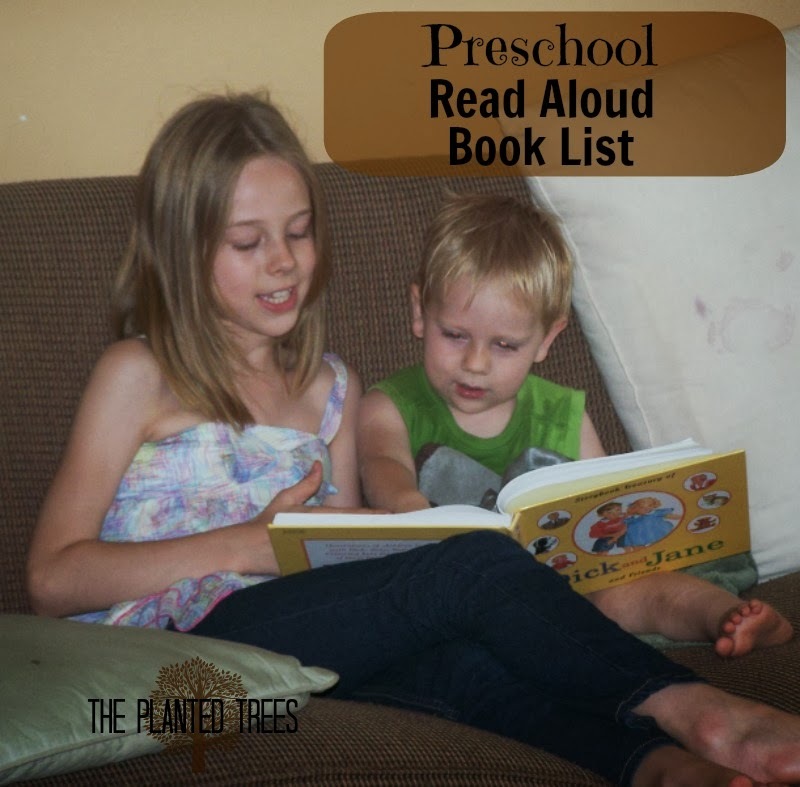 It is called The Read-Aloud Handbook by Jim Trelease. In it he lays out chapter after chapter of reasons that children need you to read to them, even after they can read on their own. Since reading that book, I have made it a point to read to the kids every night before they go to bed. I must say that it is our favorite part of the day! However, I didn't want to read just any old thing to my children. I wanted high quality books that have stood the test of time, so I used the lists in Mr. Treleases's book, lists I found online, Caldecott winners, Texas Bluebonnet winners, Newbery winners, and friend recommendations and have been compiling a list of books for each grade level. Please keep in mind that children can understand books at a higher level than they can read them, so if the books seem advanced for this age group, they are supposed to be! Brown Bear, Brown Bear, What Do You See? by Bill Martin, Jr.
Polar Bear, Polar Bear, What Do You Hear? by Bill Martin, Jr.
Barn Dance by Bill Martin, Jr. I want to encourage all mothers to take the time and read to your children. It makes such a world of difference in so many ways to them and you. If your family has any favorite books for the preschool age, please leave the name in the comments. We are always on the lookout for more good books! The other ones I've never heard of but will definitely check out. We've almost finished this list off, but still have a few months before we start Kindergarten so this will give us something to read. This may have posted 2 times...the first one disappeared. I love the Little Critter books as well. Unfortunately our local library carries NONE of this series! Yep, I couldn't believe it either. I'll have to see if the library in the next county has them. I think I have Curious George on my Kindergarten list, but I'll double check. And I don't remember ready The Saggy Baggy Elephant so I'll add that to our library list.